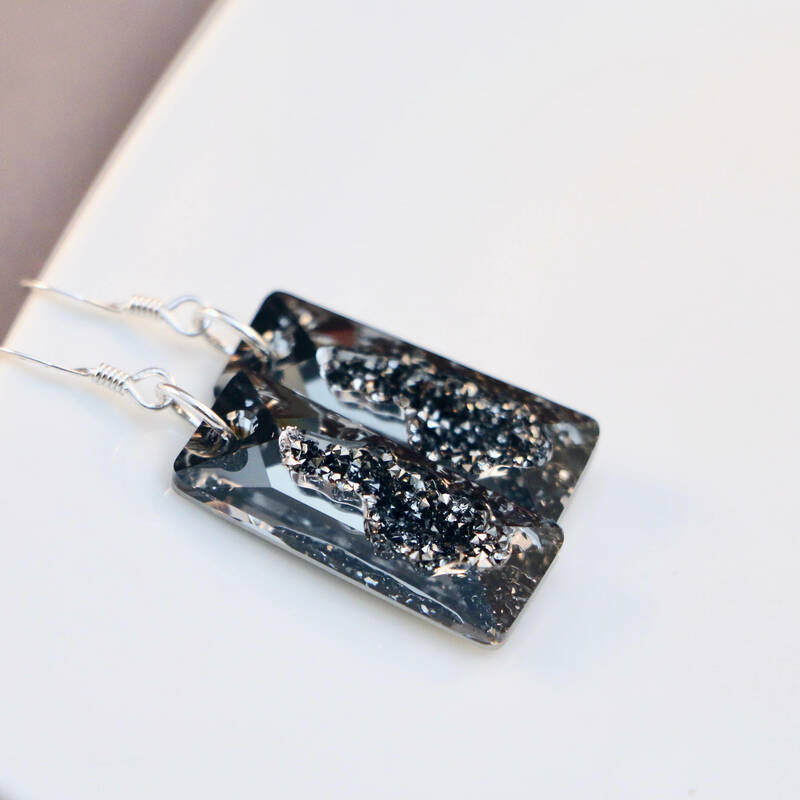 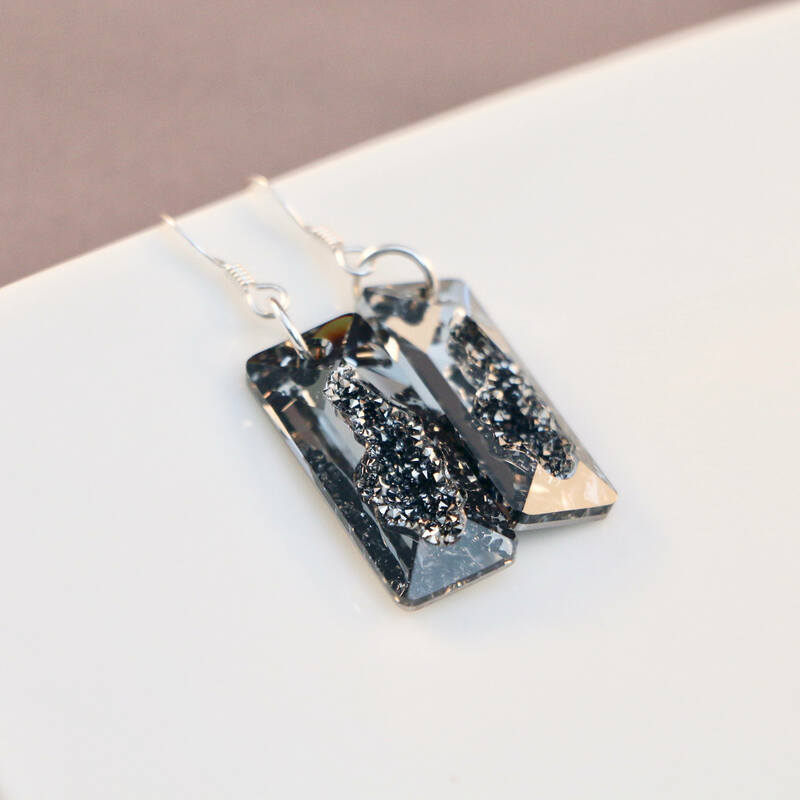 Earring Ingredients: 26mm Crystal Silver Night Swarovski Growing Crystal Rectangle Pendant simply and divinely suspended from sterling silver ear wires. 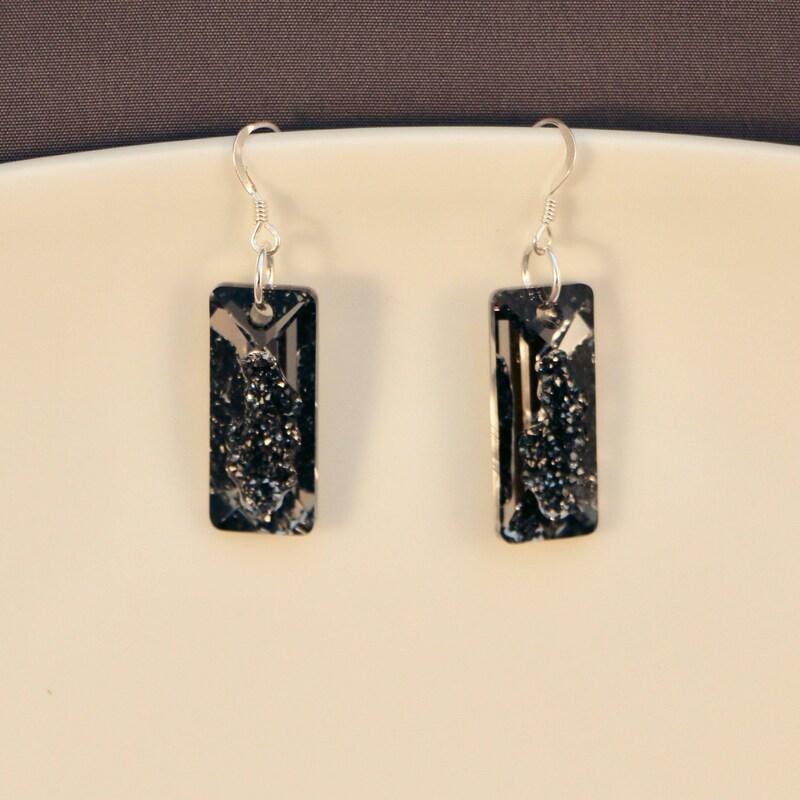 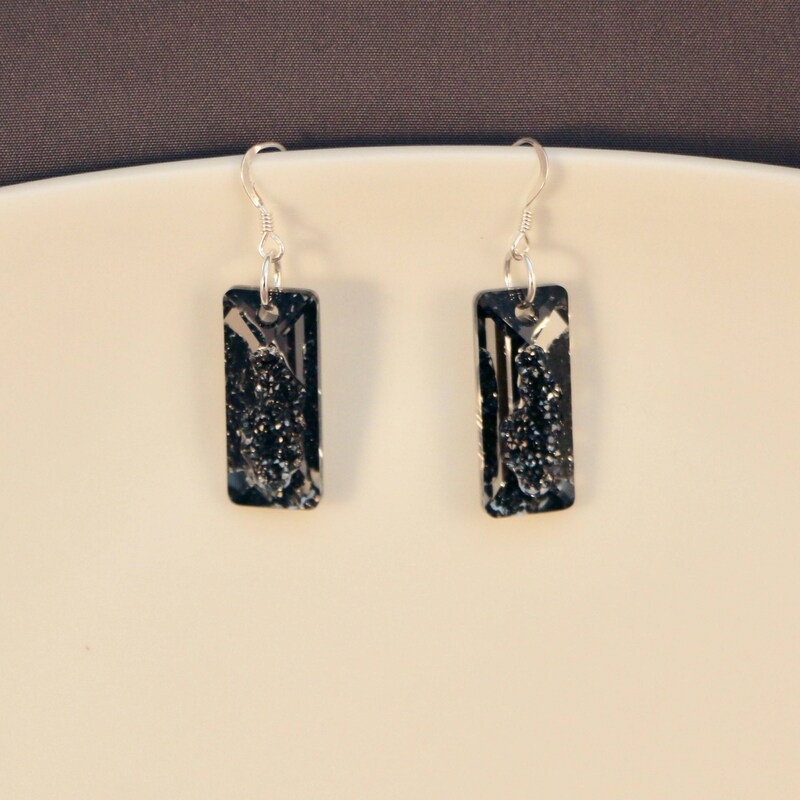 Earrings are approximately 1.5" from end to end. 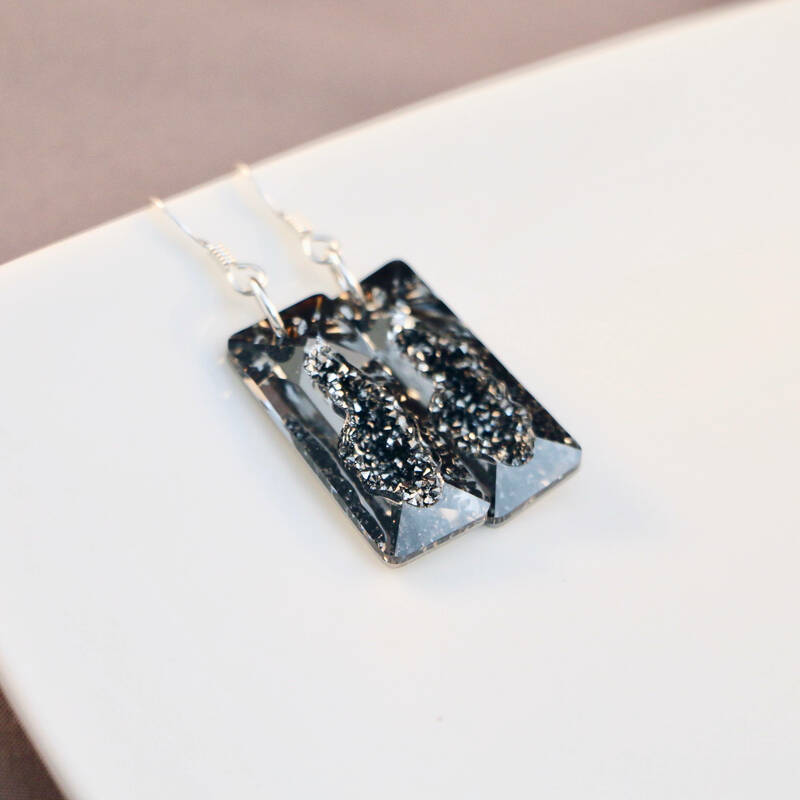 These pendants are designed by couturier Iris van Herpen and is a posh, polished take on a natural druzy stone.